This is not a sponsored post, just a curious Nelly post. But I see many of you creating quilts using the EQ software system and can't help but be curious. So curious, that when Carole who blogs at From My Carolina Home shared with us her post announcing that EQ7 is having monthly anniversary give-away and contest all year...I entered! She also created this Scrap Dance pattern and almost has her next mystery QAL pattern created. I always learn so much from Carole's blog and hope you'll stop by to check out her QAL's...also if you're looking for a quick summer recipe, her post today highlights Vanilla Blueberry Tea Cakes that are quick and easy enough for me to create...and I haven't been in a kitchen for YEARS!!! Click here to check out our Tuesday Archives Directory of OLD posts. Thanks for the feature, Val!! Give Jackson a big hug! Both quilts nicely designed. Love the banner! Thanks for coming up with this topic. 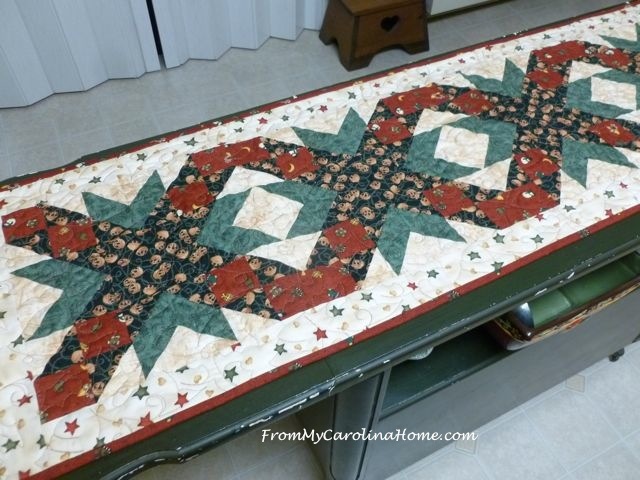 The link will be interesting to see what quilters have designed. Thanks again Val for helping me pass the time this evening whilst hubby is out of town again, your linky is always fun. What timing Val! I just did an interview with EQ7 and will be featured on their blog next week with a giveaway for my book! I'm no EQ7 expert but I do have fun with it and find it really helpful. I'd be lost without EQ. It's such a powerful program.